Indian food became a ‘go to’ food for me once I was diagnosed with Coeliac Disease, but there was always something missing – the naan bread! 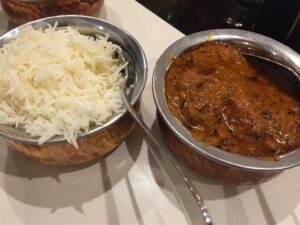 Delhicious Cuisine not only has amazing naan bread, the entire restaurant is 100% gluten free and was accredited by Coeliac Australia in 2017. 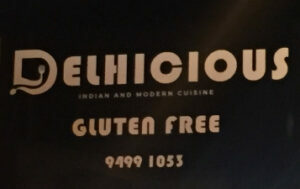 Delhicious also features on the 100% gluten free Melbourne listing. For a coeliac, being able to choose anything off the menu makes you feel so ‘normal’ and there are no whispers to the waiter about asking the chef to be careful with preparing your food. 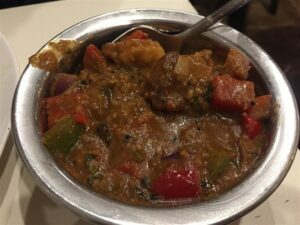 The dinner menu is not as extensive as many Indian restaurants, but you still have a good choice of five meat curries (including a common favourite, butter chicken) and five vegetable curries and there is even pizza (one meat and one vegetarian). 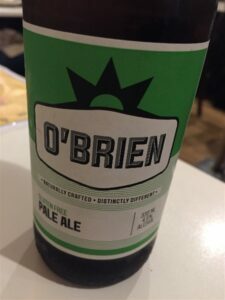 They are also happy to help with other dietary requirements, so for example if you can’t have onion or garlic, an alternative can be made for you. 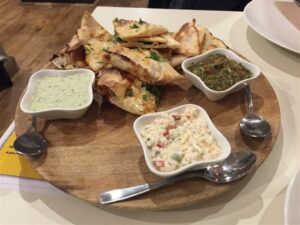 I can recommend the dip platter to start, with the three dips (I particularly like the coriander chutney) and of course, the famous naan bread. As it is gluten free, it is not quite as thick as a wheat based naan, but my non gluten free friends have really enjoyed it too. It is incredibly ‘more-ish’ and I love it with garlic and herbs. The curries have been flavoursome and the meat tender. Pictured below is the prawn curry and the butter chicken. You can, of course, have even more naan bread to mop up your curry juices. If you like alcohol with your meal, they are fully licensed (even the beer is gluten free) or you can BYO. 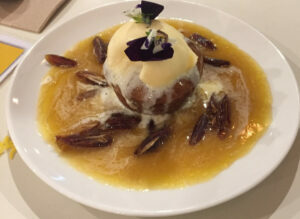 The desserts are not shown on the online menu, but the blackboard on the counter lists two or three dessert options and I find it difficult to resist a sticky date pudding. Look at all that delicious sauce! Click the link for a review of breakfast and lunch options. The restaurant has a bistro feel and the owners and staff are super friendly and want to ensure you have a great experience. The prices are reasonable with the meat mains under $20 and the vegetarian mains around $15. My husband and I have had a shared starter, meat mains and additional naan bread and soft drinks for just under $70. I roll out of Delhicious happy and full, so I highly recommend them for gluten free Indian in Ivanhoe.